UNITED NATIONS, Apr 16 2019 – Increasingly facing restrictions and assault, civil society from around the world have come together to celebrate and promote people power. Organised by CIVICUS, International Civil Society Week (ICSW) brought together civil society organisations and activists to discuss the threats and challenges that they face in a world where arbitrary detention, censorship, and exclusion have sadly become the norm. Together First, one of the partners of ICSW, is among the groups urging for a more inclusive, collaborative movement to work towards solutions for all. 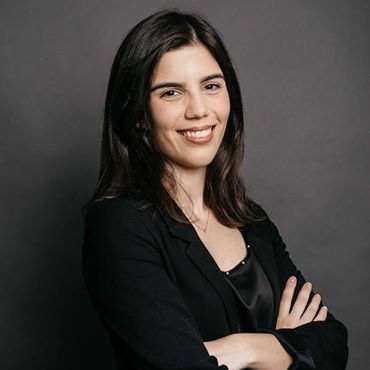 IPS spoke to Giovanna Marques Kuele, non-resident research fellow at Igarapé Institute (Brazil) and a member of Together First’s informal steering group, about the importance of civil society and working together. Giovanna Marques Kuele, non-resident research fellow at Igarapé Institute (Brazil) and a member of Together First’s informal steering group speaks to IPS about the importance of civil society and working together. Inter Press Service (IPS): How important is the protection and inclusion of civil society and human rights defenders to you and the global system as a whole? Giovanna Marques Kuele (GMK): The protection and inclusion of civil society and human rights defenders are essential. While young people are raising their voices to demand inclusion for change, human rights defenders are under attack across the globe, including in my home country Brazil. During the Civil Society Summit—which took place on the first day of ICSW—Together First endorsed the “The Belgrade Call to Action,” which calls on United Nations member states to take concrete urgent action against the shrinking space for civil society and the increasing reprisals against human rights defenders. Together First relies on the protection of civic space because we—civil society together—are the voices and agents of change that can push for the actions we sorely need to avert existential risks such as climate change. For us, multilateralism is about more than states. It is about people and organisations working together to achieve a common goal. We at Together First believe that we can no longer rely on the turgid rate of progress by world leaders. Instead, we need to raise our voices and say: we can and must do better. And so we are building a movement that is truly global and meaningfully inclusive. During the ICSW, as a small first step, I met with youngsters who work at grassroots organisations to make sure we find ways to echo their voices, as decisions and actions taken in distance places, like city capitals and New York, can affect their daily lives. IPS: What are the biggest challenges faced by civil society and human rights defenders today? GMK: Like many of our colleagues at the ICSW meeting, Together First believes that multilateralism is under threat at a time when we need it more than ever. Global risks such as climate change and weapons proliferation need a collective response. These risks can be grouped into three sets: the ones great powers have not wanted to address (e.g. climate change), the risks insufficiently understood by politicians (e.g. new technologies), and the risks considered too difficult (e.g. the glaring deficit in cyber governance). These risks need collective action. But many governments are overwhelmed. Some are turning inwards, becoming more fiercely nationalist. As a result, the UN—already overstretched and underfunded—is now facing further cuts and struggling to deliver in this difficult environment. IPS: As a multi-stakeholder group, how does Together First work with and mobilise civil society? GMK: Together First seeks to build a global people’s movement for a people-centred multilateralism. Together, we want to identify and call for transformative next steps – the most important changes we can make now to address global risks. We also want to raise our level of ambition. The challenges we face are vast and complex; we must demand more than the current glacial pace of change. Ultimately, we know that if we want to build the effective global governance system we so badly need, we cannot rely on world leaders alone. We must open up the conversation so that, in turn, we can make the system itself transparent and inclusive, where stakeholders play a meaningful role in the decisions and actions that affect their lives. IPS: What role can the UN play to better promote and protect civil society? GMK: Together First believes that by harnessing progressive power of civil society and by deploying an innovative and thorough methodology, we can work together to identify feasible and actionable steps to make global governance more effective – and put them into practice. One of these steps must involve a greater role at the UN for civil society, who are key actors in the policy space and on the ground. What I heard from many people at ICSW is that organisations–as much as they work to achieve SDGs at country level, for instance–do not feel connected to the UN Headquarters, where decisions are ultimately taken. A concrete suggestion is to establish an Envoy for Civil Society—carefully chosen to make sure she or he is able to understand and transmit grassroots concerns to the upper levels. IPS: As International Civil Society Week comes to a close, what message would you want civil society groups and human rights defenders to take home? GMK: At ICSW, Together First, with our partners UN2020, made a public call for civil society to share their perspectives and need so we can demand that they are on the table for the UN’s 75th Anniversary in 2020. Moving forward, it’s essential that our voices are heard at key meetings in the lead up to 2020. On April 23, I will be speaking at an event on building trust in multilateralism organised by the President of the General Assembly and IPI. Please send me your questions and comments via #MultilateralismMatters @TogetherFirst and I will be sure to raise them. As the theme of this year suggested, ICSW is a testament to the existence of the ‘Power of Togetherness’ – the reality that people and organisations around the world are working together to unlock the potential of collective action. I think the energy of this event showed that we can believe that together it is possible to promote meaningful and inclusive change.